We had a very relaxing experience at Nurture Wellness Village. The place is quiet and peaceful, and the atmosphere is full of positive energy. I 100% recommend going there. Take a relaxing day trip away from the crowded streets of Metro Manila and head to Tagaytay City - a popular local and tourist destination famed for its pleasant climate and unparalleled views of the world's smallest active volcano, Taal. The city offers an array of activities for all sorts of travelers to enjoy! Besides hiking to the volcano's crater and trying delectable dishes from homegrown restaurants around the area, Tagaytay, too, is home to Nurture Wellness Village, an internationally acclaimed wellness destination named as one of the 28 Most Relaxing Spas in Asia by CNN Go and one of Asia Spa Magazine's Top Seven Spas of the Philippines. 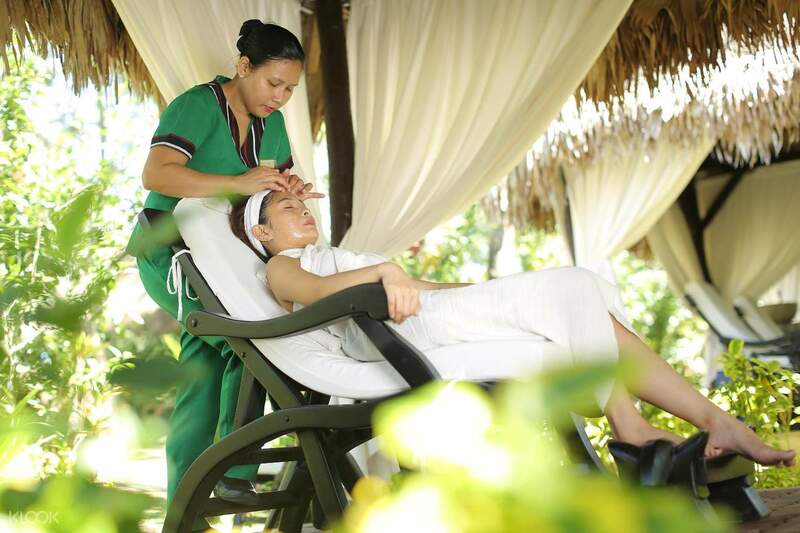 This wellness village is located deep within fragrant coffee orchards, offering a distinctive brand of ecotherapy or healing by and through nature. 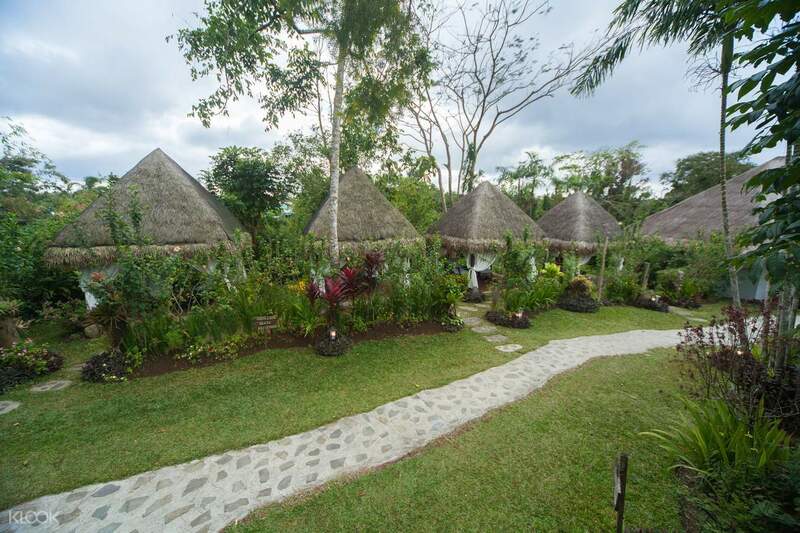 Experience their specialty massages for an hour or so, depending on your chosen package, and indulge in luxurious and unique Filipino wellness experiences in a native Ifugao hut amid the relaxing ambiance. 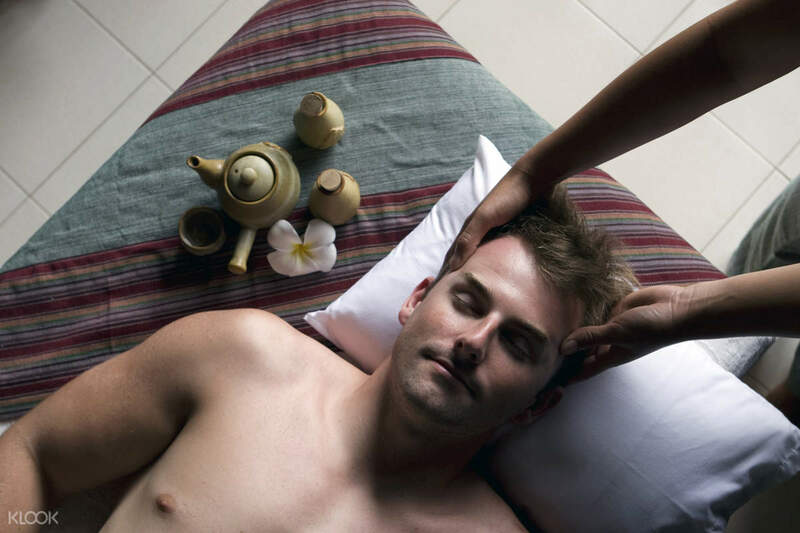 Let the experienced massage therapists relieve your tensions as you sit back, relax, and enjoy. It is our first time at Nurture Wellness and we had a great experience. All the staff were very accommodating🤗. We were greeted with a warm welcome when we arrived. Ate Bessie gave us a quick tour around the village before having a massage. We had a very relaxing Nilaib Massage, which I highly recommend👍. 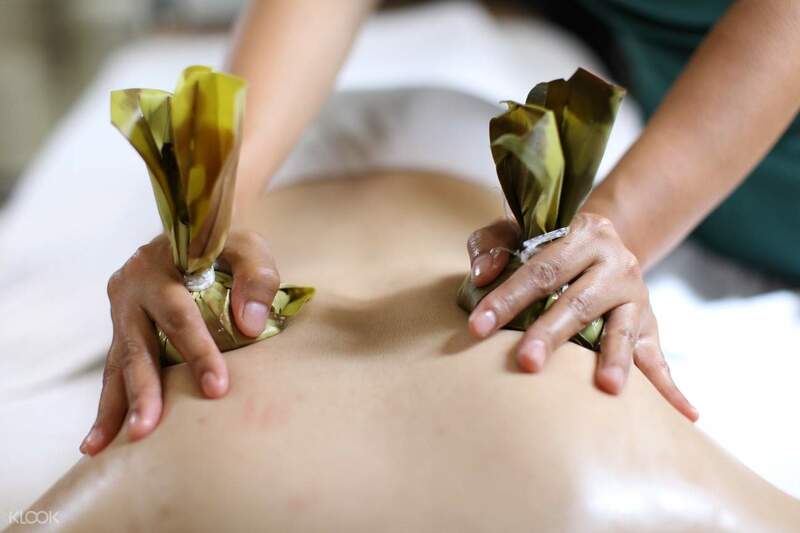 It is a hot compress that has sand inside a pouch and wrap in banana leaves. Thanks to ate bessie & ate jane (hope i remember the name), we really loved the massage and the tea after😍. Before we leave, we bought some goods and souvenir in Nurture Farmacy. Definitely we will come back again. It is our first time at Nurture Wellness and we had a great experience. All the staff were very accommodating🤗. We were greeted with a warm welcome when we arrived. Ate Bessie gave us a quick tour around the village before having a massage. We had a very relaxing Nilaib Massage, which I highly recommend👍. It is a hot compress that has sand inside a pouch and wrap in banana leaves. Thanks to ate bessie & ate jane (hope i remember the name), we really loved the massage and the tea after😍. Before we leave, we bought some goods and souvenir in Nurture Farmacy. Definitely we will come back again. Massage is good and the place is relaxing. We love the complimentary pandan tea also. Minus 1 for the rating because after the massage, they did not remove the oils in our body or at least gave us hot towel for us to use. Overall we still recommend this place. Tip: tell them if you’re a repeat customer and they’ll give you 10% discount. Massage is good and the place is relaxing. We love the complimentary pandan tea also. Minus 1 for the rating because after the massage, they did not remove the oils in our body or at least gave us hot towel for us to use. Overall we still recommend this place. Tip: tell them if you’re a repeat customer and they’ll give you 10% discount. We were welcomed to Nurture Wellness Village with steaming hot pandan tea. Afterwards, we were led to a cozy outdoor-type of hut, where we had a lovely Nilaib massage, and the ambiance was perfectly set with the gently-falling rain amidst the greenery of Nurture Wellness Village. We were welcomed to Nurture Wellness Village with steaming hot pandan tea. Afterwards, we were led to a cozy outdoor-type of hut, where we had a lovely Nilaib massage, and the ambiance was perfectly set with the gently-falling rain amidst the greenery of Nurture Wellness Village. Had problems with booking confirmation, it took 5 days for Klook to process the voucher even if I already indicated my preferred date and time during booking. So if you want to book this, allot at least a week before your preferred date. Nonetheless, the place was amazing. Had problems with booking confirmation, it took 5 days for Klook to process the voucher even if I already indicated my preferred date and time during booking. So if you want to book this, allot at least a week before your preferred date. Nonetheless, the place was amazing. Worth the money. Will be back to nurture. 😊. staff are so courteous and outside environment is so coool. Worth the money. Will be back to nurture. 😊. staff are so courteous and outside environment is so coool. We availed the Nilaib package which was totally rejuvenating. Transaction was easy for this one. Received the confirmation within the day. Hassle free. We availed the Nilaib package which was totally rejuvenating. Transaction was easy for this one. Received the confirmation within the day. Hassle free. Had a chance to visit Tagaytay on a weekend with a friend. Just upon entering the place I was already amazed. We were served drinks while waiting for our masseuse. And then we were assisted to walk into our room. A quaint little room which looks very comfortable. I liked that they offer you to take a shower before the massage if you like. They have all the toiletries and towels too. But I didn’t need it that time, it would’ve been nice too I’m sure. I ordered the Nilaib massage, which is like the hot stone. I liked it very much because the heat from the stones can stay very long (longer than those others that I’ve tried). And my masseuse was very, very good. I’m sure given another chance I would love to plan another trip to Nurture Wellness again. Had a chance to visit Tagaytay on a weekend with a friend. Just upon entering the place I was already amazed. We were served drinks while waiting for our masseuse. And then we were assisted to walk into our room. A quaint little room which looks very comfortable. I liked that they offer you to take a shower before the massage if you like. They have all the toiletries and towels too. But I didn’t need it that time, it would’ve been nice too I’m sure. I ordered the Nilaib massage, which is like the hot stone. I liked it very much because the heat from the stones can stay very long (longer than those others that I’ve tried). And my masseuse was very, very good. I’m sure given another chance I would love to plan another trip to Nurture Wellness again.